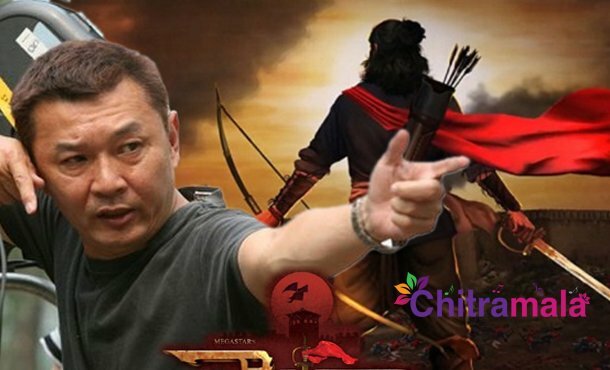 Producer Ram Charan is leaving no leaf unturned to make his next production and his dad-Mega Star Chiranjeevi’s next Sye Raa Narasimha Reddy as India’s most awaited film. After roping in India’s best actors such as Amitabh Bachchan, Kiccha Sudeep, Jagapathi Babu, Vijay Sethupathi, Nayanthara, Ravi Kishan, Mukesh Rishi, and finest technicians like Oscar-winning musician AR Rahman, Cinematographer Ravi Verman, Production designer Rajeevan, the latest we hear is that Ram Charan has zeroed in on Hollywood action choreographer Tony Ching who worked for films such as Spider Man, The Warlords, and Krrish franchise. It is expected that the war sequences in Sye Raa Narasimha Reddy are going to set a new benchmark by taking them to the next level. What’s more? A lot of research has been done by director Surender Reddy and writer duo Paruchuri to design the character of Uyyalawada Narasimha Reddy. Chiru’s styling and costumes are going to be in a new way suiting to the needs of the character. The film is said to chronicle the life and times of India’s first freedom fighter Uyyalawada Narasimha Reddy who hailed from present-day Kurnool district in Rayalaseema of Andhra Pradesh.